Here & update of our PG NAT, thanks you all of you for your Help and support .& forget my Spanglish. 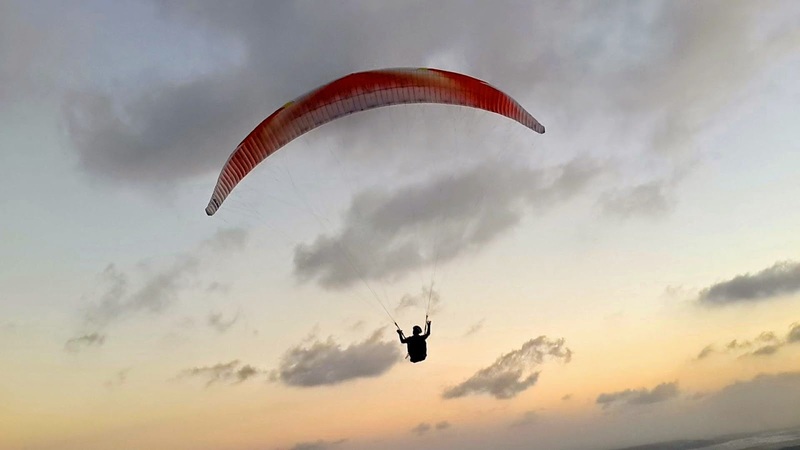 We are developing the PPG in our contry we did a 112 klm flight from Varadero to Habana ,and our first "Tabecia" crossing the golf of BATABANO from the island of Juventud to Main land using a Swing mistral paraglider custum made with the cuban Flag and a rebuild Adventury M3 paramotor . We are working in our big chalenger Crossing the Florida channel in PPG from HABANA to Florida @ this moment we are asking the for the permitions and documentation to The US & Cuba Gov. & photos of the Champ with his new SUNGLIDER R2 Monster. 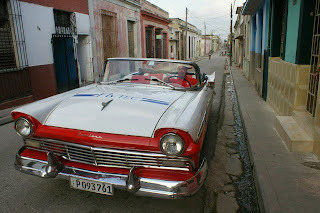 Santiago de Cuba , 10 Apr -2014 . 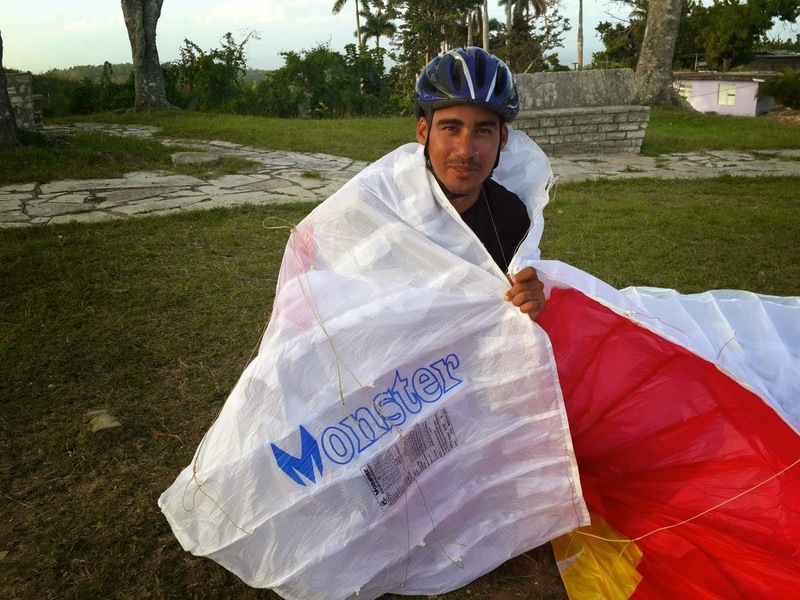 The translucent view of a city was the key ingredient for a week in the life of Cubans and foreigners in the port of Santiago de Cuba ,Boniato, who participated in the National Paragliding Championship . The dispute over airspace was fierce among the 45 Cuban provinces of 9 assistants and five foreigners , as well as 20 guests from different nationalities, who took the great opportunity of flying from the mountain pass between March 31 and April 6 . Gliding was a recurring word in this period and several sleeves competitive as far between as the Ambrosio Grillo Hospital and bridge of the railway line on the side of the Central Highway , gave free rein to the desires of young restless that after spending a year without being could only talk about gliders and altivarios . Among the more daring was the champion last year, Granma Alexander Chavez, who said he was motivated by the competition this year and of course came to fight for the crown . Hard task to accomplish because according to the predictions of the judge Danyer Columbié , Sandy Santiago Salazar was the great promise . And to say was keep the timeline because if this was the first place winner . The pinero Andrius Thoureaux Torres won the silver medal and his compatriot Carlos Bermudez bronze medal . For teams placed first Granma province , which maintains the well established supremacy ; second place in the province headquarters and third the Isla de la Juventud , which promises to be a championship competitions coming first. In the category of foreign participant 's medal took the young Venezuelan Jorge Palacios , who was a Lithuanian antagonists and three French , all attendees thanks to the quality and dissemination of previous events. Competition Several days were lost due to inclement weather , the total enemy sails rain prevented until Wednesday officially the start of flights ; but the desire to achieve thermal winds and climb over five hundred meters above sea level were more powerful than the clouds, flying forward dominated the pessimistic mood . Another surprise of the National League in Santiago de Cuba was the participation in competitions of a woman, Diana Holguin Araujo challenge gender roles bringing hope to the women . Strings , shears and candles will be dominated in competition again next in Guise , Granma year. The best of this decision is that retrieve annual frequency of the championship, but Santiago de Cuba with his Puerto Boniato be every two years the meeting place to fly freely like birds in heaven.